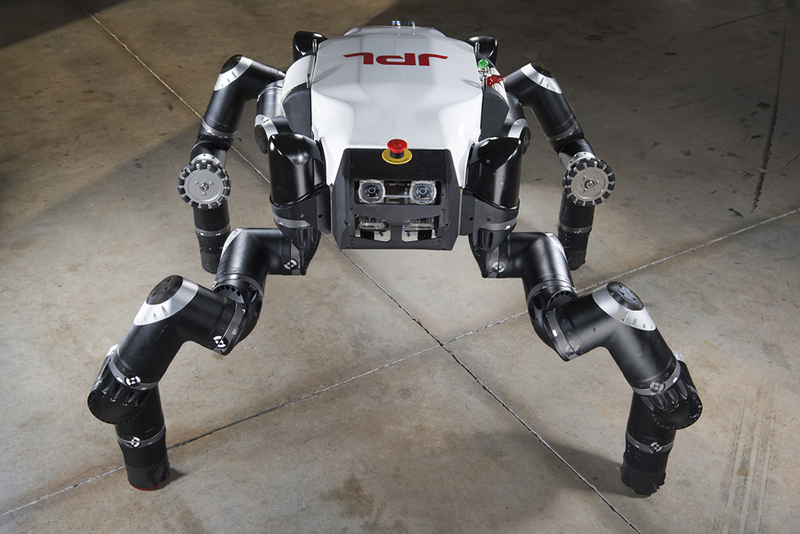 510 PackBot®, of iRobot, one of the most successful battle-tested robots in the world, the iRobot 510 PackBot performs bomb disposal and other dangerous missions for troops and first responders. Modular, adaptable and expandable, 510 PackBot is a tactical mobile robot that performs multiple missions while keeping warfighters and first responders out of harm’s way. More than 3,500 PackBot robots have been delivered to military and civil defense forces worldwide. 510 PackBot easily climbs stairs, rolls over rubble and navigates narrow passages with sure-footed efficiency, traveling at speeds of up to 5.8 miles per hour. Powered by iRobot® Aware® 2 robot intelligence software, 510 PackBot is a highly adaptable robot. PackBot’s modular digital architecture accommodates a wide variety of interchangeable payloads that enable a wide variety of missions. The robot can be reconfigured quickly, based on the needs of the mission and the operator’s preferences. 510 PackBot can be hand carried and deployed by one person in less than two minutes. No expensive, specialized equipment or vehicles are necessary; PackBot can be easily loaded into a MOLLE pack, the trunk of a car or a helicopter. 510 PackBot relays real-time video, audio and other sensor readings while the operator stays at a safe standoff distance. The operator can view a 2-D or 3-D image of the robot on the control unit, allowing for precise positioning. PackBot also features a game-style hand controller for faster training and easier operation in the field. Advanced Manipulator: The strong manipulator lifts up to 30 pounds with the arm in a compact position. The turret rotates 360 degrees, allowing for precision targeting and placement of disruptors. Multiple Cameras: A pan-tilt-zoom camera with 312x zoom enables optimal surveillance, even in low light. A drive camera allows for forward, rear and downward views. Two arm cameras provide enhanced views and operation. Onboard Fireset: Allows the electrical initiation of pyrotechnic devices over a secure, encrypted safe firing system. This entry was posted in Uncategorized and tagged 2010 FIFA World Cup, 510 PackBot, Batteries, Bomb disposal, Brazil, EOD, Explosive Ordnance Disposal, Explosive Ordnance Disposal (EOD), FIFA, FIRST RESPONDERS, Global Positioning System, HAZMAT, Hertz, Iraq, iRobot, iRobot 510 PackBot, PackBot, TFT LCD, UGV, Unmanned Ground Vehicles. Bookmark the permalink.